Peacebuilding works - but like inoculation, to help a country in crisis it needs to be nationwide and it needs to be sustained. Today Aegis has the chance to break cycles of violence and prevent mass atrocities in Kenya, South Sudan and the Central African Republic - but we need your help to move fast. When you fundraise, invest or donate monthly or annually to Aegis, you gain membership of the White Rose Society - the Aegis Trust's supporters network - and will be kept up to date on developments and events at Aegis. Pays for one student’s peacebuilding education. Helps rebuild a life – giving a survivor the training needed for employment. Brings peace education to a whole school in Rwanda. 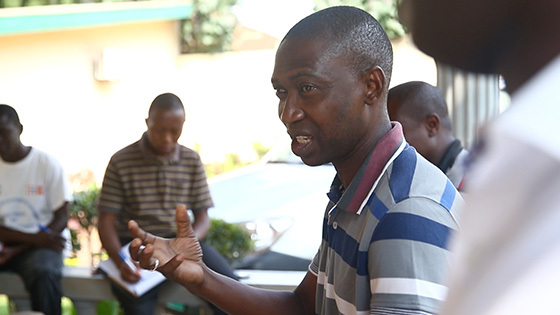 Trains a community leader in a country at risk to counter the cycle of violence locally. Regular giving is the best way to support Aegis. It lets us plan our work more effectively. It also means we have a flexible and reliable funding stream we can count on. The money you contribute to Aegis helps many people, in many ways. Whether it’s teaching a genocide orphan in Rwanda the skills to find employment, equipping young people in countries in crisis with the tools to strengthen peace and build trust in their local communities, or bringing the voices of people at risk into the international spotlight, every bit of your donation to Aegis will be well used. So thank you for your support! A donation in memory of someone special to you enables us to challenge indifference and hate, and celebrate those with the courage to stand up against prejudice and racism. It also helps us to maintain the Kigali Genocide Memorial, continue peacebuilding education in Rwanda, and extend this important work to countries in crisis where local leaders are desperate for support to help prevent mass atrocities and save lives. You can donate in memory through our Justgiving page, or you can set up a special page in Justgiving devoted to the memory of your special person. Friends and family can then add to your donation, increasing the amount of money we receive. Pledged gifts in wills help to ensure the longer-term viability of Aegis. If you would like to help Aegis continue its work for future generations, you may wish to consider leaving a gift in your will. A gift of any size will be of great benefit to us in creating community resilience against the risk of genocide through peacebuilding; supporting survivors and communities to rebuild when genocide is past, and maintaining the Kigali Genocide Memorial. Your legacy will help to inspire tomorrow’s generations to challenge indifference and hate, and to celebrate those with the courage to stand up against prejudice and racism. To discuss the types of gift you can make, please contact [email protected]. You can donate clothing, shoes and goods to our White Rose Charity Shops in Nottingham. The team is always on the look-out for quality recycled fashion! To find out how, or if you would be interested in hosting a clothing bank for White Rose at a location you own or manage, please contact our shops on 01159 506417, or email [email protected]. If you’re based in or around Nottingham, why not volunteer at the White Rose shops? If you’re a student in the UK, US or Rwanda, why not join Aegis Students (or STAND, in the US) and get involved in peace-building, campaigning and fundraising? You might be interested in taking an internship with Aegis, or even in joining the team full time. Wherever you may be in the World, you can help the cause hugely by giving some time to fundraising for Aegis. You will be helping to change lives and save lives. And you might even have a lot of fun doing it! 1. Can I donate items like clothing and shoes to Aegis? 2. Do my donations qualify for Gift Aid? Your donation qualifies for Gift Aid if you pay tax in the UK and have completed a gift aid form. Every £1 that you donate with Gift Aid is worth £1.25 to Aegis at no extra cost to you. For more information click here. 3. I have raised some money for Aegis. Where should I send the cheque? Thank you! We are proud to have your support. Please make your cheque payable to Aegis Trust and send it to us at Aegis Trust, 15 Bridge Street, Newark, Nottinghamshire NG24 1EE. Please also include all your sponsorship forms, if you have any. 4. How does the money I have raised make a difference? The money you have raised helps many people, in many ways. Whether it’s teaching a genocide orphan in Rwanda the skills he needs to find employment, educating young people worldwide about the importance of peace-building or bringing the voices of those at risk into the international spotlight, your donation to Aegis will be well used. Find out more about our impact here. Thank you for your support. 5. How do I leave a gift to Aegis in my will? Thanks for thinking of Aegis – legacies make a very important contribution to our fundraising. Please contact office@aegistrust.org for more information. 6. Why is regular giving important? Regular giving is the best way to support Aegis. It lets us plan our work more effectively. It also means we have a flexible and reliable income we can always count on. You can set up a regular donation by completing this Standing Order Form. 7. I make a regular donation to Aegis. How can I update my bank details, or change the amount I donate? If you donate using a standing order then you will need to contact your bank directly. If your donation is made through Just Giving then you can do both those things (and many more) by logging onto your account and following the instructions on screen. If you have any queries then please contact office@aegistrust.org directly. 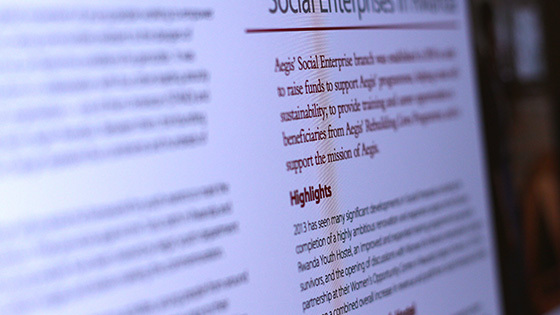 Find out more about the work and achievements of Aegis in our most recent annual report. The Aegis Trust has an opportunity to break cycles of violence in three countries at risk. 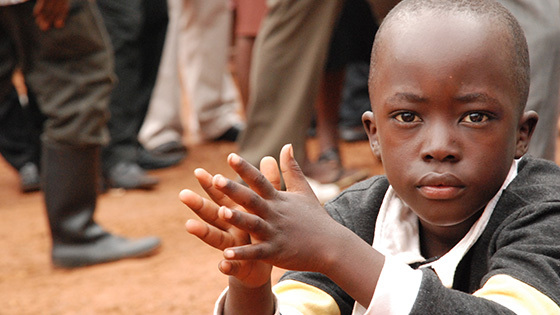 To be able to move quickly, prevent mass atrocities and save lives, we need your help.